CMA’s New Rules Help Reduce Campaigning, But Will It Slow WME Dominance? Country music award shows are all rigged, right? Well that doesn’t exactly explain how Chris Stapleton walked away with the majority of major trophies at the last installment of both the CMA and ACM Awards, basically exposing the lack of creative influence of country radio, and failing to prop up the more well-established and financially-lucrative mainstream country music celebrity franchises that awards shows are designed to favor and promote. Calling the CMA Awards “rigged” might be somewhat true, but it also simplifies the issue. Certainly there is horse trading and block voting for awards that goes on behind-the-scenes. Basically, you might have a record label or talent agency agree to vote for another label or talent agency’s artist for one award, if that other company then turns around and votes for a different award for their particular artist. Though sometimes this system can backfire on you, or with the wide votership of the CMA’s specifically, such block voting isn’t always effective. The ACM’s have always been a better realm for gaming the system behind-the-scenes. But part of the problem is the lobbying that goes on for awards both in the public eye in trade periodicals like Country Aircheck and Billboard Country Update, and behind the scenes. Labels, management companies, and promoters will put together reams of stats to lobby the rest of the industry into voting for their particular artist. Now the CMA had made moves to reign this practice in. The Country Music Association sent out the initial ballots for the 50th Annual CMA Awards on July 5th, and with them came a new system that hopes to stop some of the campaigning for artists to win certain awards. It’s called “Nominee Showcase,” and gives voters a centralized location to find verified and fairly-presented stats on all the nominees so voters can make their choices based on a universal set of parameters, instead of the slanted and sometimes embellished and misleading numbers publicists and labels put together to lobby for votes. The industry is also buying into the idea, because the lobbying over the years has become a costly endeavor for everyone involved. It also gives a forum to showcase the artists and music involved in some of the undercard award categories that sometimes go unrecognized by voters and don’t make the televised portion of the awards. Of course stats are not supposed to be the only determining factor in who wins, but accurate and fair stats are better than slanted ones. Stats clearly didn’t factor in to Chris Stapleton’s big wins, but another factor might have. As Saving Country Music pointed out in 2014, many of today’s country stars are represented by the same talent agency: William Morris Endeavor Entertainment, or WME. Not all of them are, but the majority are, which gives the agency a significant amount of power and leverage when lobbying for votes, and for securing nominations and wins for their artists at awards shows. Chris Stapleton, who shocked the country music world with his massive night at the 2015 CMA Awards, happens to also be a WME client. In 2015, most every major CMA Award was handed to a WME-signed artist. Luke Bryan, Miranda Lambert, Florida Georgia Line, and Chris Stapleton were the major award recipients. Entertainer of the Year, Male and Female Vocalist, Duo of the Year, Single and Song of the Year were all awarded to WME talent. Little Big Town, who also won big on the night, used to be represented by WME, but recently moved to CAA. In 2014, the story was very similar, with the only outlier being Kacey Musgraves winning Song of the Year for “Follow Your Arrow.” Wonder why for the better part of a decade, every Male Vocalist award went to Blake Shelton, and every Female Vocalist award went to Miranda Lambert? It could be due partly to how they are both represented by WME. Why does it appear that artists like Carrie Underwood regularly get snubbed? Because Carrie is not a WME artist. Some wonder why Garth Brooks didn’t land Entertainer of the Year with his landmark comeback tour last year, but at the time he wasn’t represented by WME. However Garth signed with the talent agency on June 1st. Some of the recent WME dominance could be due to the fact that the talent agency has so many high profile country names on their roster, and those names have been on a good run recently. But the talent agency undoubtedly has tremendous sway in the industry, and can influence things such as the outcomes to awards shows simply from the size of their footprint in the industry and the sheer volume of their roster. No conspiracy theories are needed. If you simply count up the votes by people involved with WME, they make up a bigger majority than anyone else, which in turn entices more artists to sign to the roster, not just for awards shows, but for a host of reasons. The new CMA system that hopes to stem some of the campaigning can certainly not hurt and is a step in the right direction. But more steps could be made to promote transparency and fairness to increase credibility. The second round of CMA voting happens between Aug. 15th-24th, with the final ballots being sent out on Oct. 10th. 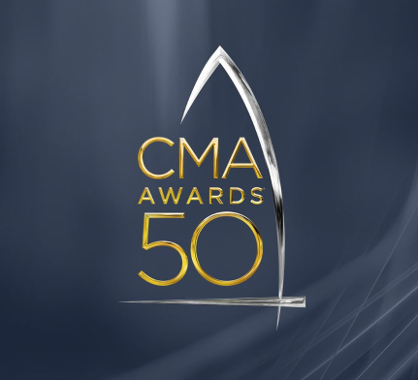 The 2016 CMA Awards are on November 2nd. I’m glad that you wrote about this. Not because I see awards shows as all that meaningful outside of the promo platforms that Music Row clearly treats them as, but because I think there’s value is people seeing the CMA and ACM results for what they are. I don’t see this particular change as changing the current voting dynamic. It scans to me more as a belated reaction to the famously expensive campaigns that a variety of artists, most recently Taylor Swift and Blake Shelton, used to run in order to win the awards. But even the likes of Kacey Musgraves and Eric Church would send out vinyl copies of their albums. Jason Aldean’s team spent quite a bit earlier this year on a fancy schmancy tour book to finally secure him his much-coveted ACM Entertainer award. What this won’t change is things like teams bundling industry media into a bus to see a headlining show from an artist they’re pushing for awards (if said act isn’t headlining a Nashville venue during the crucial voting frame) or throwing events in Nashville to celebrate an artist’s accomplishments (if recent years are any indication, look for a string of #1 parties to be thrown on Music Row in the coming week or so, also look for updated RIAA certifications and other PR releases). But yes, most crucially, this won’t change the WME footprint on the CMA and ACM votes. 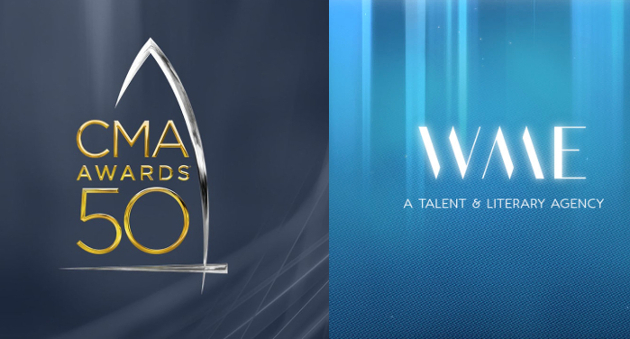 WME has taken to posting braggy congratulatory ads for its clients when ACM/CMA nominations and winners are announced, as seen here on page 3 (after the 2015 CMAs) and here on page 5 (after this year’s ACMs). Their dominance is clear. So, too, is the difference with the Grammys, which, while far from perfect or pure, don’t allow promo interests to vote unless they have an official credit on a piece of recorded music. So what’s the mechanism? I think it’s important to look at touring. Live Nation has generated major ticket sales and revenue growth over the past several years via the Country Megaticket, which is essentially allows people to buy a season ticket for a bunch of mainstream country concerts at a Live Nation venue. For a list of participating headliners in the Country Megaticket this year, check the Megaticket site. People like Jason Aldean, Luke Bryan, Brad Paisley, Dierks Bentley and Miranda Lambert are perennials in the lineup. Blake Shelton used to be before he cut back on his touring due to The Voice. Being part of the Country Megaticket gooses their audience through the season ticket aspect (though obviously, somebody like Luke is going to sell huge on his own). This year, the Hank Jr/Chris Stapleton double-bill is new to the Megaticket. There are 14 Megaticket headliners this year. Of them, 9 are represented by WME (Aldean, Bentley, Bryan, Florida-Georgia Line, Lambert, Paisley, Rascal Flatts, Stapleton, and Williams, Jr.). Only 3 are represented by CAA (Brantley Gilbert, Darius Rucker and Keith Urban) and none of those 3 is a sales driver for Megaticket. Notable country headliners who have never been part of the Country Megaticket: Garth Brooks, Eric Church, Carrie Underwood, George Strait, Zac Brown Band – and these are all people who are pretty huge draws on their own. Now, the Megaticket is a big revenue generator – maybe not so much for ticket sales because a lot of the tickets sold are discount $20/$25 lawn seats but for concession sales (read: beer). So you can see where Live Nation would have an interest in using the country awards show platform to promote those acts who are part of their Country Megaticket lineup and thus make sure that their network was well-represented among the voters. So that explains why somebody like Eric Church, who *is* represented by WME, hasn’t become a CMA/ACM darling outside of the love for his album, Chief. It also explains why Carrie Underwood and Zac Brown Band, who have developed their own touring audience outside of the Megaticket and who are repped by CAA, don’t score that bloc’s support either. I’m making it sound like Live Nation would have the controlling interest in swinging CMA/ACM votes a certain way but there’s more to it. WME, as the agency responsible for negotiating brand partnerships for their artists, for which they receive commissions. Additionally, as this Billboard article notes, booking agencies earn commissions and bonuses for the tours, so again, you can see why WME would want to martial the CMA/ACM platform and leverage their network of voters to promote their clients. That is why you tend to see their influence more in the artist categories (Entertainer, Male/Female Vocalist, Vocal Duo, New Artist) than the song/single categories. However, WME made its presence known in the ACM Song/Single categories this year too. So why hasn’t CAA (WME’s main rival) fought back against the WME/Live Nation? I’m certainly not suggesting that CAA is pure as driven snow and above such things. But if you look at their clients, they’re doing quite well live and in terms of commercial branding without the awards wins. And besides, when you look at CAA representation in the Megaticket and festival circuit, it would be difficult for them to martial the network of voters in the live business that WME can. As Kyle argues, it’s just a numbers game, and WME has a ton of headliners right now. So many, in fact, that there’s this question of how WME decides its winners/priorities. I think that’s based on a read of who’s on the rise (in terms of live draw and revenue generation), who’s plateaued and who’s past peak. As I noted, Aldean’s team (which includes WME and Live Nation) went all out to get him the Entertainer Of The Year trophy at the ACMs that he was very outspoken about wanting. His touring numbers are down this year, so my guess is that this was a final push and Aldean will be “graduated” into the winner emeritus category. Blake Shelton was shut out of the ACM nominations altogether, which I think is a sign he’s been “graduated” as well, though I think he will be interested in at least getting back into the nominations mix at the CMAs. His team is certainly working hard to make sure it’s known that his footprint in Nashville is ever-strong. Meanwhile, there’s been a clear push to A-list Dierks Bentley, who has been a happy soldier for Live Nation and the well-liked runner-up for many years at the CMAs and ACMs. His tour numbers appear to be on the rise, and he just scored his biggest first week of album sales yet (even though his sales have since plummeted), so it seems to me that he will be a new WME priority. Chris Stapleton, of course, will remain a huge priority with his live draw increasing big-time. And you’ll have WME pushing the likes of Thomas Rhett, Chris Young and Brett Eldredge into whatever nomination slots that they can, no doubt. This dynamic will be unchanged by the new Nominee Showcase, so it’s difficult for me to see it changing anything. That being said, as with any numbers game, I guess it’s not impossible for some kind of insurgency to take over. Margo Price has certainly scored a lot of attention this year, and maybe whatever effort Jason Isbell may have made to submit his album for ACM consideration also mean that he, Sturgill Simpson and Price will make their way into CMA voting. If they do, then…well, here’s hoping (and if not, I expect to see Simpson and Price well-represented in this year’s Grammy nominations). Thanks as always for the great insight Windmills. I agree the impact of the Nominee Showcase will likely be nominal. But what I like about it is it’s a sign that the CMA knows that there are issues with the system, and they have a willingness to address it. If nothing else, it evens the playing field for artists who don’t have deep pockets behind them willing to spend money on these campaigns. The CAA / WME dynamic to me resembles the dynamic between LiveNation and AEG. AEG is still huge and viable in the marketplace, but is still getting dominated and can’t muster nearly the leverage. Agree with you on the push to make Dierks “A-list”..and it’s so artificial. He’s not a young up and comer, he doesn’t sell all that well, in terms of albums or concerts – and he hasn’t in a while. He might be (ok is, but Black stunk & he’s not that amazing a la a Chris Stapleton) more talented than the mainstream A-list guys, but his record doesn’t deserve that status. Trigger: I agree the impact of the Nominee Showcase will likely be nominal. But what I like about it is it’s a sign that the CMA knows that there are issues with the system, and they have a willingness to address it. If nothing else, it evens the playing field for artists who don’t have deep pockets behind them willing to spend money on these campaigns. Yes, I agree that – even if I don’t think the impact will necessarily manifest in the upcoming nominations, it’s a positive step. And I also agree that the CAA/WME dynamic is paralleled by the AEG Live/Live Nation dynamic. The CAA and AEG Live rosters are doing more than fine in the marketplace (for instance, I believe Carrie Underwood’s AEG Live-promoted tour has grown more in audience and sales grosses relative to her 2012-2013 tour than any other mainstream country headlining tour). It’s just that one side is dominant in the specific context of the ACMs/CMAs. In general, we have seen some weakness in the country festival market this year, and several shows have been downsized, canceled or just decided to skip this year. We may have reached the saturation point given the current talent pool. That’s part of why I think WME is likely to shift its promo resources to building up a next generation of revenue generators. Live Nation’s Brian O’Connell seemed to suggest the same thing while deflecting a question about the country live market peaking. That potentially opens the question of how much in the way of resources that alliance will put into this year’s CMAs. If they don’t work their voting network as hard, then perhaps there will be an opportunity for some shifts. Speaking of the next generation, one thing that’s interesting is that for now, pending any defections, the buzziest new next gen mainstream stars – Sam Hunt (yes, I know), Maren Morris (yes, I know), Cam, Kelsea Ballerini (yes, I know) – are all represented by CAA. So were Maddie & Tae before they shifted to WME earlier this year. So it’s possible we might see CAA asserting itself more in the New Artist category, where WME may not have a viable candidate (there’s Brothers Osborne, but I feel like they’ve lost some buzz after their January album release, especially with their 2nd single crawling slowly up the charts). And while CAA may not be able to change the result in the Female Vocalist category, we could see a story in the nominations about the next generation of females racking up multiple nominations as songwriters & singers (it’s not hard to imagine Maren Morris and Cam scoring CMA nominations in Song, Single or both for “My Church” and “Burning House,” respectively, and perhaps Kelsea Ballerini has an outside shot with “Peter Pan”). Now, none of the aforementioned acts is all that close to headlining big venues. But if they keep growing, at the time that they’re ready to make that jump and Live Nation is looking at the roster that can populate its Megaticket ranks, it’s easy to imagine Live Nation switching over to support this next gen of CAA clients at the country awards shows. But again, that assumes that these acts remain with CAA and that they’re the ones who drive the most revenue growth in the mainstream genre and that some other big bloc doesn’t emerge to try to dominate proceedings (easy to imagine, for example, an alliance between streaming services and certain labels) and that the CMAs don’t change the rules to alter who gets to vote. And none of the above is a safe assumption. Thank you both for putting this into perspective. This kind of thing has turned into a catastrophe. The awards shows are dumb, the country awards shows are particularly dumb. The Miranda Lambert dominance is the clearest indicator of everything that is wrong with country awards shows. She’s good, she should have won a few awards, but she’s not the only female country music singer, which is what the awards shows would have you believe. Last year she won despite doing very little, this year (in the CMA time frame) she’s basically done nothing. So basically, all I really care about is some female other than Miranda winning female vocalist. I’d love to see Carrie get an entertainer nod, and Chris S will almost certainly win male bc those things go in 5 year cycles. All good things, but what I really took from this (and other articles like this) is that I feel bad for you, Trigger. You, me, everyone here knows those awards are a joke at best, and a travesty at worst, but you still have to follow every detail and write about it. Don’t misunderstand though-I appreciate these articles, that’s why I read it and am now commenting. I just feel bad that you have to go out of your way to find out about, and report on, the inner workings of these asinine organizations. Have country music award shows always been this contrived? If it’s so easy for WME or other large voting blocks to throw the awards, it would seem like the number of votes from large organizations should be limited in order to allow for an even playing field. No amount of revamped campaign practices is going to solve a block voting issue. Good article Trigger! I agree with some people about Miranda Lambert doesn’t deserve to win female vocalist award because she is way overrated. I should throw in Little Big Town about group award because they are overrated . My opinion is Carrie Underwood should get female and Zac Brown Band should win group award. Anyway country music award plays favorites and it is a shame it turns out that way. I’m sure this was a bear for you to cover and write up. But, I appreciate these types of articles, because I am fascinated by the inner workings of the music industry. This one alone opened my eyes to several new gears of the machine that I didn’t have any prior knowledge about. Thank you, and keep up the good work. I accept that this move is a reality check for CMA to acknowledge that they are aware of the bias established by block voting. But block voting works because the voter goes in knowing who they are voting for. So it will make little to no difference. And we certainly will see no difference in the end result. On a side note, WME just bought UFC today. Does that mean Brock Lesnar will have a country album coming out too? 2017 CMA Entertainer of the Year: Conor McGregor? It means WME’s share of the entertainment world continues to grow. They also have a massive footprint in movie, television, and sports representation, so I’m not surprised by that move. Interesting. I kept wondering why Stapleton was getting so much recognition while Sturgill Simpson’s breakout Metamodern Sounds album was mostly ignored. I had a feeling it was something like this. “Wonder why for the better part of a decade, every Male Vocalist award went to Blake Shelton, and every Female Vocalist award went to Miranda Lambert? It could be due partly to how they are both represented by WME.” I always wondered how these modestly talented if popular stars kept winning these CMA awards, far more wins than iconic legends in the past. Thanks for a very revealing piece. The New York Times or some other major newspaper or magazine needs to write about this. One wonders why the non-WME acts even bother to show up for the CMA awards.